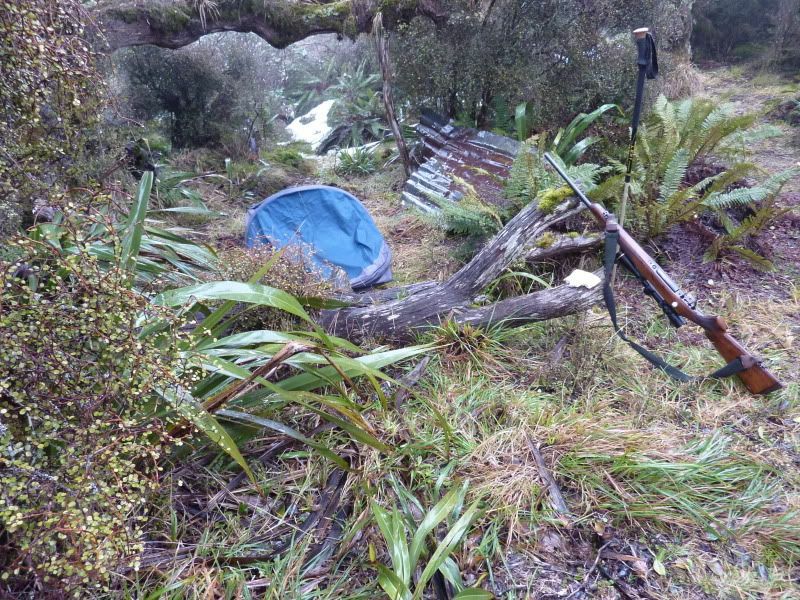 Had a NZ Army bivy bag about 12 yrs ago - bit bulky and was made by Macpac under contract. 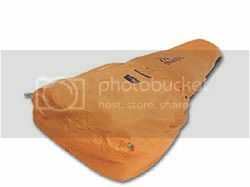 Have also a Huntec bivy bag which have used since mid 90's and works well on the tops from spring/summer to autumn. Therm-a-rest mattress fits down the sleeve and can store some gear at the top end. It's a myth that you will be totally waterproof as condensation usually forms near the foot end but you stay pretty much dry and warm as long as you use a good quality sleeping bag. I have stayed on the tops in the Kaimanawa's and Lewis/Arthurs Pass over the yrs with no real issues. Thanks for the link Landlock I have found my x-mas pressie that my mother in law can send over for me. Saw one of the us army bags in use a few weeks ago. 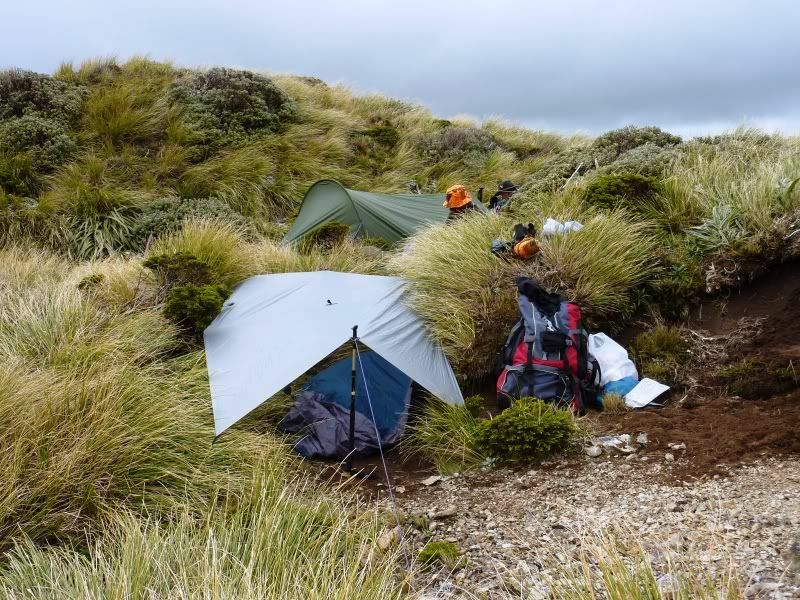 3 of us camped near the Okarito swamp in our bivvy bags , me in a non breathble nz army bag,Roaring stag in a fairydown bag and Keiran in a us army bag. Fkn frezing cold night. me and RS had ice form between our sleeping bags and bivvy from thecondensation. we had to dry out bags out the next day in the sun. I was warm as toast RS froze his arse off and Keiran was snoring up a storm within 5 minutes of climbing inside his. no condensation at all inside his bag. I have a MONT Bivvi Bag, its pretty good, packs pretty small and it was the right price from my employer. Earlier this year I utilised it as well as a Hootchie (Fly) to see out two mega storms, former cyclones, that smashed the QLD coast. It was epic in the heat and is just as good in the cold. I have used it in the Kindu Kush and that was lets just say f**king freezing less than toasty. 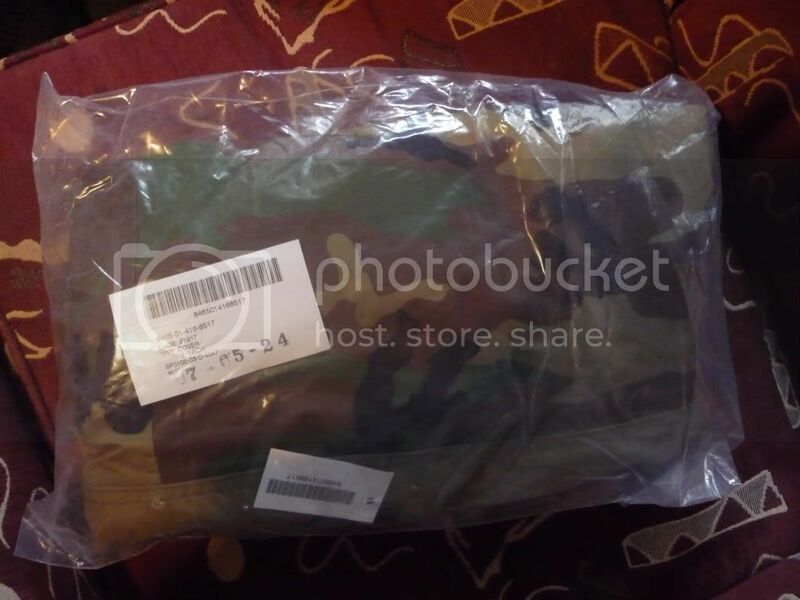 The US Army bag is GTG I have seen them in action and for that price its a steal. They are great. They include a hoop that you can use to keep the fabric off your face. I've used mine in all sorts of conditions all over the country and its never failed. 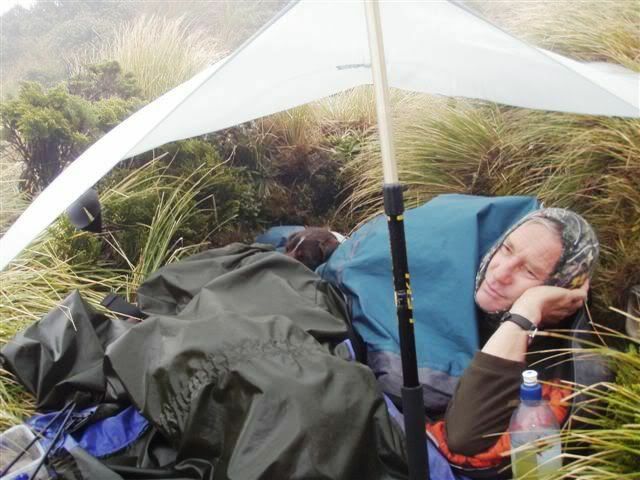 The only thing about a bivy bag is that if its raining you often get in damp, and get wet if you get out. I use a very light fly with mine and its a good combo. The fly and the bag weigh under 1kg. 10 hours later after gail force winds and rain all night (Ruahines, last Jan). Still dry. I imagine even in the wrong climatic conditions it would condensate but its probably the best idea thus far. Nup. That's when a bit of length comes in handy. That fly does look light...what brand is it BC ? OR with the hoop in. Are those US military issue ones from eBay the drawstring type or are they the type with the two zip system that has a net then your storm flap? Seems like a mint deal. I use a VAUDE bivvy bago for around $150. Light, packs small and enough room to pop a day pack or similar inside to keep off the face. Spent a wet night in it and stayed dry, apart from the aforementioned entering and exiting of the bag. Are the us military ones still available. How many guys have used them. Looking for a good biv bag for spring. torpedo7 selling their 1man tent for $99 online now. I have no idea what it's like but for that money it can't be brilliant, but it's not a lot of dosh if it's ok. Need a top up of durable water repellent some time. Though on a bag on a mat wouldn't be as often as a coat. Have the Macpac Reflex. In the pack withe clothing and bag inside. Gear got damp but after a top up hasn't happened again.....yet. Bit of a battle over which is better but maybe depending on who sells the bivvy. One thing that seems to be common is militaries use the Gore-tex(NZ Army switched over) and more extreme condition recreational manufacturers - thats the type recommended. It doesn't relly on the durable water repellent. Probably Event etc also as its similar. Gore-tex though has a PU film for back-up whereas Event doesn't. One site claims people have died due to Gore-tex though. I am guessing thats when its real cold and wet outside and maybe then the wicking ones better or something? For breathability they tested event vs the rest and event won. But breathability tests from other makers are either pure fabrication or fact as some now have higher rates than Event. Toray Dermizax ZR is at a shocking 30 to 38000 rating. Be surprised if Event was holding back its figures. Surplus Gore-tex or genuine PFTE type at $100 bags plus postage is best buying and no worries unless it gets holed. I use an ex-army one, love it and highly recommend it especially after 48 hours of Fiordland rain! Bazza, are you able to post up some photos of the bags your selling, always looking for a second one. Have got one and used it a few times in Arthurs Pass above bush line. Great in terms of lightweight and low volume but downside is there is no room for gear and like its been mentioned regarding bivvy bags the tent has the same condensation problem. I bought a Vaude hogan ultralight tent that i use more instead now but still keep the bivvy tent for a rainy day....no pun intended ! 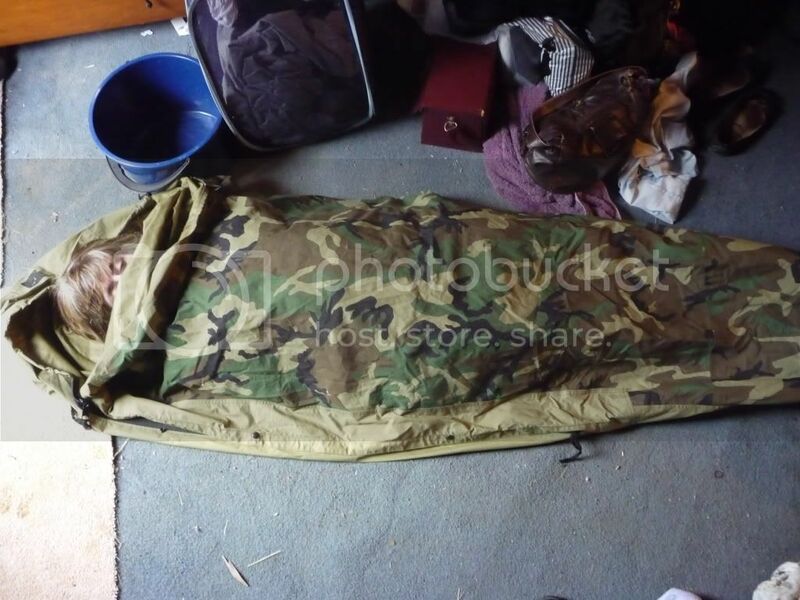 If i had a choice over bivvy bag or bivvy tent go the bivvy tent, at least if the weather packs in you can sleep without the material lying on your face. The best is the observer from Carinthia. It was shipped on the 28th July and arrived on the 4th August. Lots of options - comes down to personal preference, price and availability. I watched a programme the other night with a one man tent very similar to this(even same colour) however when i look at the vid for you link it appears this one only attaches to the bivvy, whilst the one i saw on telly was a tough nylon outer making the beam really rigid. it look fantastic. they called on the 7second tent but i can't seem to find it anywhere. kokako, you know of any other company's like this? I had one,Spent 2 sub zero nights in it then sold it. Condensation was bad,the inside was wet within 20mins of getting into it even with my face out.I had to cover my sleeping bag with a coat which was soaked by morning.Have now got a Macpac with reflex after borrowing a mates.They are very good. Are you talking about the Alpine Cocoon? There's another Macpac one also. Good idea having a ground sheet instead of using up the breathable fabric for that. Macpac Cocoon but not the Alpine . Has a diagonal hoop and insect mesh.I dont think they make them any more? That’s the "Bush Cocoon" and Macpac stoped making it about 2004-2005. It's always the same; companies always can the useful products!! Yeah Mate thats the one.Bloody good bit of gear. Yes them and Huntech no longer make that kind but they should.They are expensive. Though maybe they used the cheaper groundsheet route it could be less pricey?